Depending on how you want to count it up, the 2015 Burrito Mile can be considered the 10th annual Burrito Mile event in Maryland. 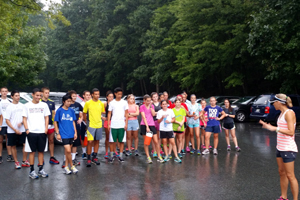 Mocorunning is proud to boast that the event originated on Mocorunning.com when a site user (and Montgomery County 400m champion) Brian Sickles was the first to publish the idea in writing in a public forum in 2006. How to go about it was not very clear, but the idea had traction. 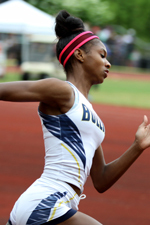 Bullis girls clocked 4:08.26 in the 1600m SMR, fastest performance in Mocorunning's database (since 2006). 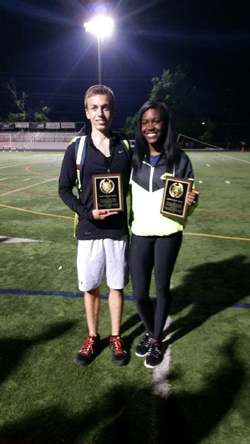 Tocque Peyton was honored Saturday June 6 as Montgomery County's track and field "Official of the Year." 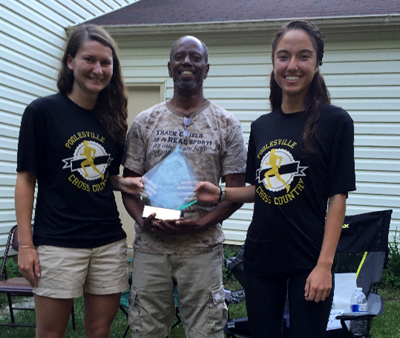 Peyton, who has been officiating for over 25 years, was presented the Jim Vollmer Award by recent Poolesville graduate Denise Larson (left) and rising senior Fiona Whitefield. 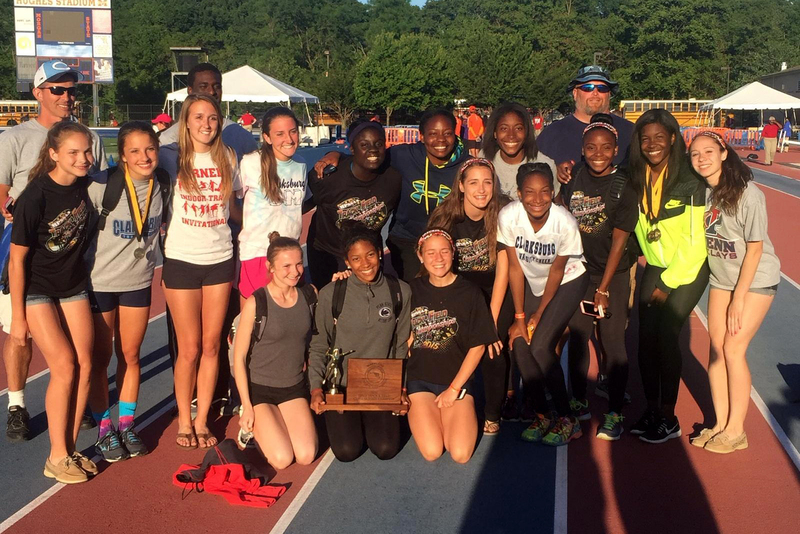 Vollmer, who died of a heart attack in 2014, was the longtime Poolesville cross country coach and Watkins Mill track coach who also served as commissioner of officials for 32 years. 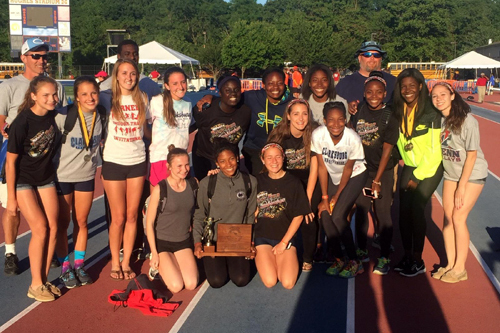 The school which opened its doors in 2006 won the boys 2A state title in 2009 and now in its tenth year is just the third Montgomery County school to ever win the MPSSAA girls' outdoor track state title in Maryland's largest classification. 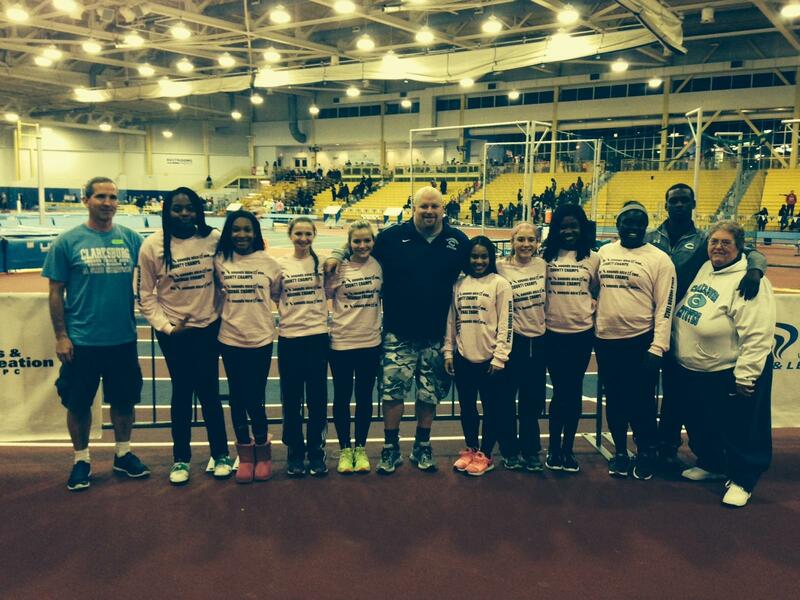 Congratulations Clarksburg girls on completing a dream season. 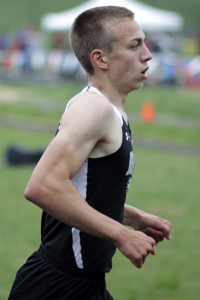 GC's Kevin McGivern came from behind with a ferocious kick to claim the WCAC 1600m title by a split-second over teammate Jack Wavering, 4:26.62 to 4:26.69. 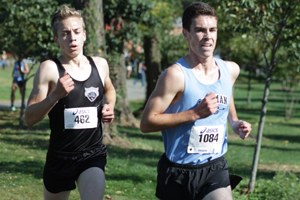 McGivern and Wavering are both juniors. 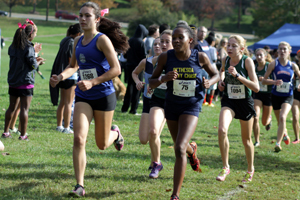 GC's Rachel Pocratsky ended her high school career with 800/1600 WCAC titles in 2:14.78/5:17.94 in addition to 9:35.57 4x800 and 4:05.60 4x400. 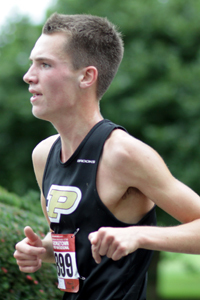 Pocratsky clocked 2:13.42 800m earlier in the year. Up next: Four years at Virginia Tech. 4x400, 3:59.89. 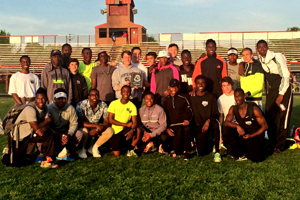 Northwest boys had fastest MoCo 4x100 and 4x400, 43.22 and 3:22.83.
into the mind of Blake's Martha Sam. 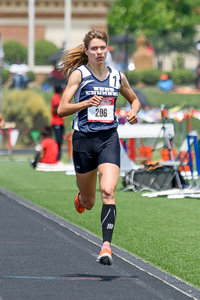 Elsewhere: Rachel Pocratsky's 2:13.42 800m is a top 10 performance all-time by a Montgomery County athlete. 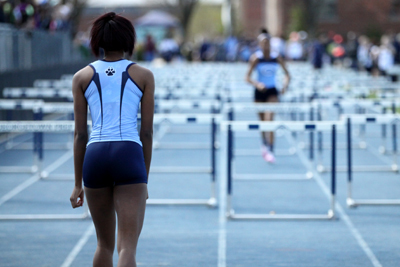 48.95 this weekend at the Madric Invitational. 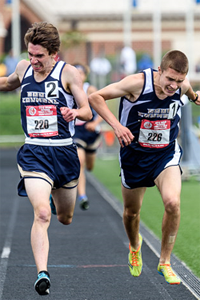 all-time performance by a Montgomery County athlete. 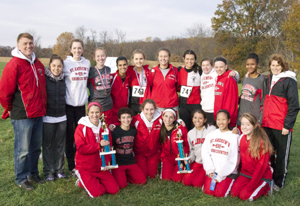 Montgomery County team in the last decade. hairstyle of his high school years. to try and dig deeper into what makes Clare such a unique multi-sport talent. 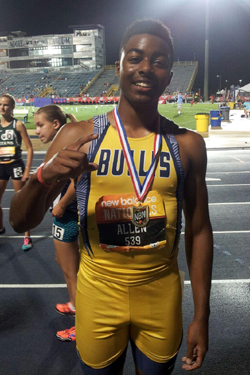 Eric Allen, Bullis, won national title and broke meet record in freshman 60m, 6.96 w/ 6.48 55m en route. Shyheim Wright, NW, placed 7th in 60m HH. 8.06 in the finals. 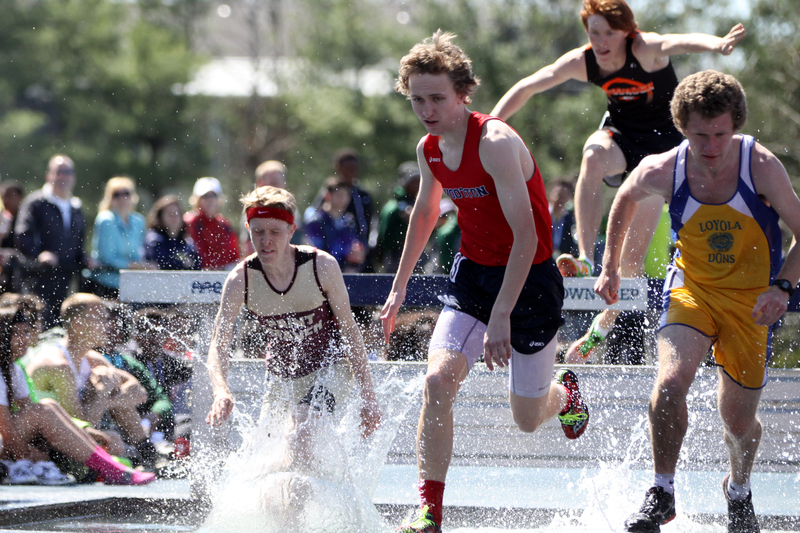 7.92 in the semi's (7.34 55m HH en route). 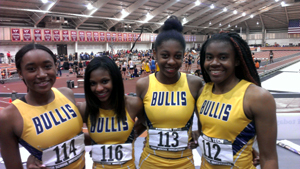 Bullis topped itself again with season best 4x4 time, 3:52.19, 9th overall and fastest ever by MoCo team indoors. 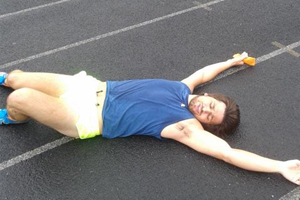 Put, 17-05.25 Long Jump, 5-03.25 High Jump, and 2:28.65 800m. 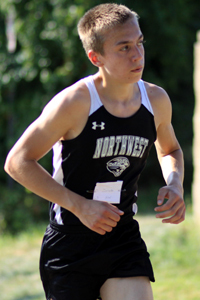 Diego Zarate, NW, won the Emerging Elite mile in 4:16.00, fastest indoor mile by a Montgomery County athlete in at least 30 years. 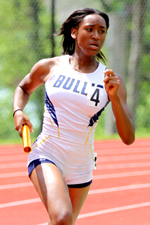 Bullis girls 4x200 1:39.69, 8th place in prelims. 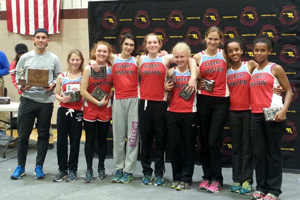 Fastest indoors all-time by a Montgomery County team. 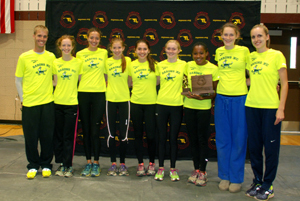 Good Counsel girls SMR 4:08.52, 12th place. 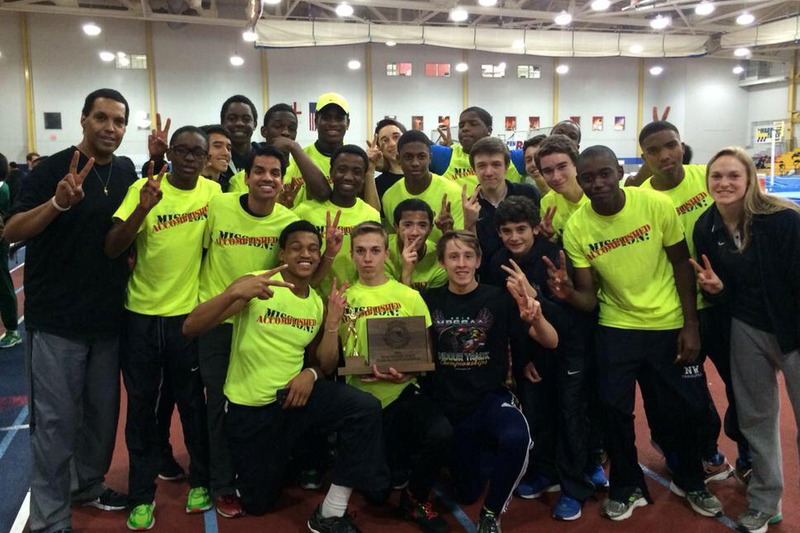 Fastest indoors all-time by a Montgomery County team. 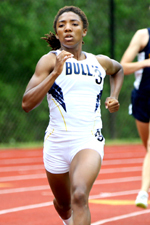 Masai Russell, Bullis, 56.48 400m, 2nd place in freshman 400m (All-American). 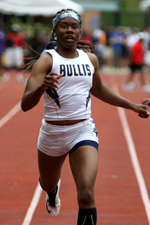 Eric Allen, Bullis, 50.85, 2nd place in freshman 400m (All-American). 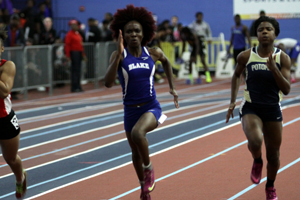 Fastest ever indoors by a MoCo freshman. 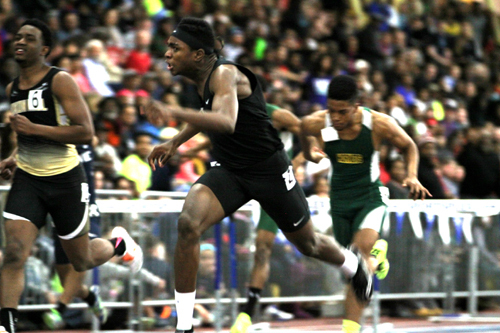 Jaron Woodyard, Wootton, 6.96 60m, advances to semi-finals. Fastest time by MoCo athlete since 2003. 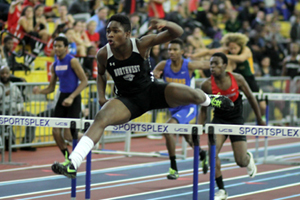 Jaron Woodyard, Wootton, 22.00 200m, 13th place. 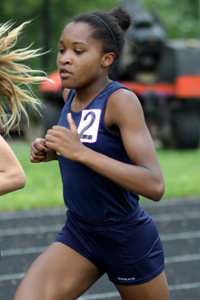 Stephanie Davis, Magruder, 24.98 200m, 24th place. Blake girls win Emerging Elite 4x400 in 3:55.32. Martha Sam, Blake, 24.73 200m, 2nd place EE. 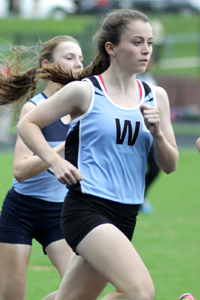 Sarah Moore, Blake, 57.28 400m, 6th place EE. 6th on Mocorunning's All-Time Indoor Leaderboard. 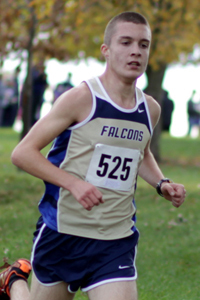 Amir Khaghani, WW, 9:29.55 Two Mile, 10th place EE. 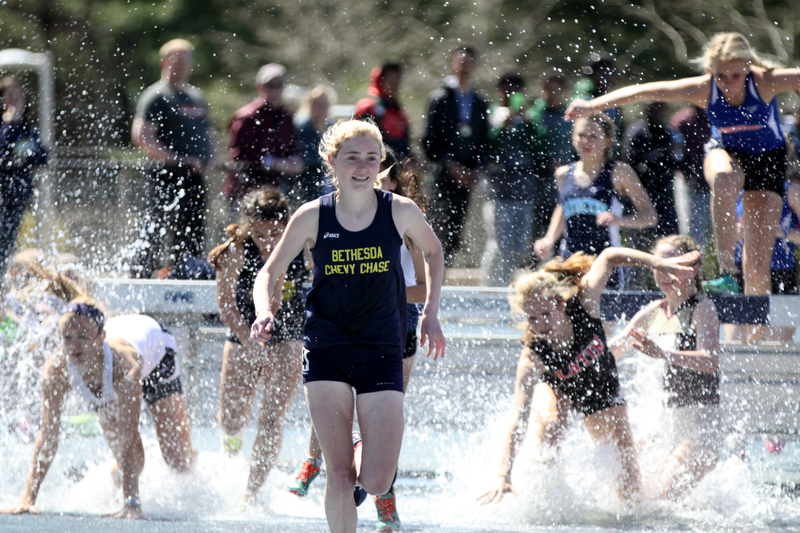 Rachel Pocratsky, GC, 2:15.75 800m, 9th place EE. a Montgomery County school indoors. 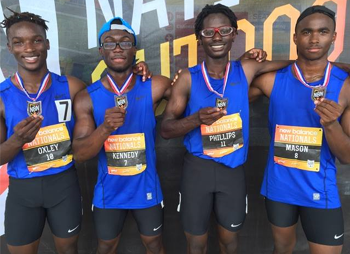 Branch boys also took over 4x400m county lead with 3:32.66. 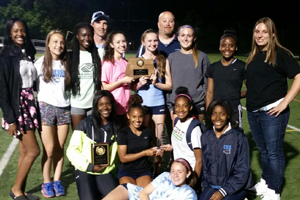 Whitman girls lowered this year's county leading 4x800 relay by 10 seconds, 9:37.80. 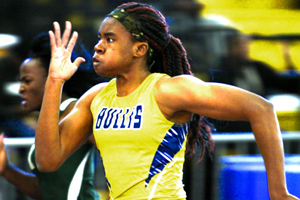 Sherwood's Rufus Settles tied this year's 55m county lead, 6.54, and clocked 35.58 300m. 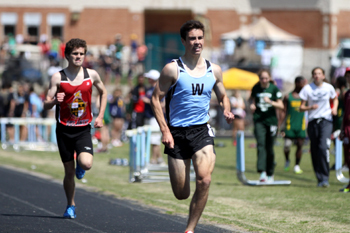 Whitman's Amir Khaghani lowered 3200m county lead with 2nd place finish and new personal best 9:25.83. Montgomery County thrower since 2012. 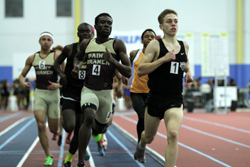 Paint Branch's Lorenzo Neil finished 7th in the 1000m in 2:35.13, fastest by a county athlete since 2011. 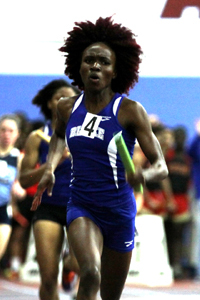 Blake's Martha Sam clocked 1:16.05 500m and 7.24 200m. 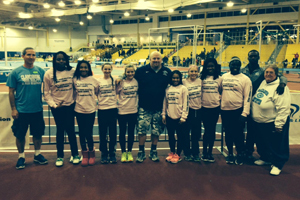 Blake girls clocked season best MCPS-leading 4:01.19 4x400m. 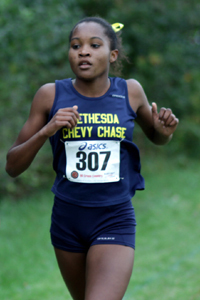 Good Counsel's Rachel Pocratsky clocked 2:58.35 1k, best by Montgomery County athlete since 2007. 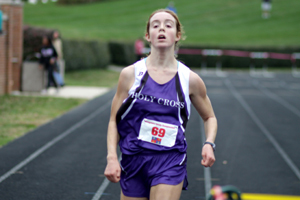 Churchill's Lucy Srour ran 5:05.97 in the mile (5:04.20c), fastest by Montgomery County athlete indoors since 2008. 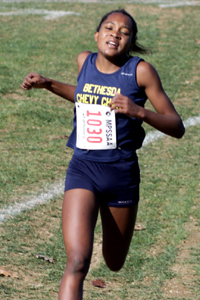 Paint Branch's Bethlehem Taye recorded school records in the 1600 (5:16.15) and 3200 (11:16.75). 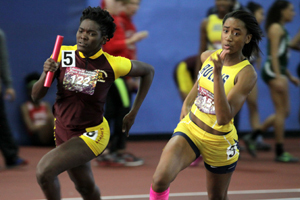 Paint Branch girls lowered MCPS-leading 4x200 time to 1:45.26. 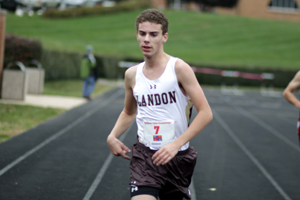 Paint Branch's Oliver Lloyd lowered county-leading 500m to 1:06.45. 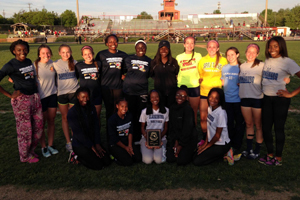 Wright triple jumped a county-leading mark of 45-03.25.
individual victories and two personal bests. 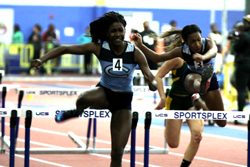 8.22 in the 55m hurdles missed meet record by 0.01 seconds. by a MoCo team in the month of December. 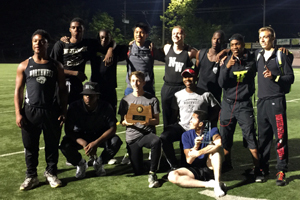 A look back at three MCPS meets in December reveals the Northwest boys team looks virtually unbeatable compared to the rest. 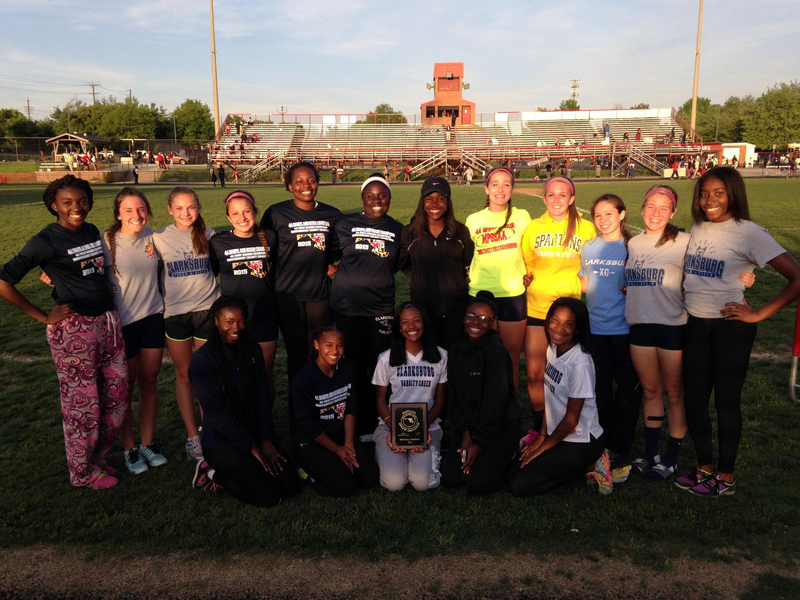 and a strong supporting cast has lifted Northwest to an average margin of victory of 28 points over second place in three MCPS meets. 7th respectively on Mocorunning's "Since 2006" Indoor Leaderboard. 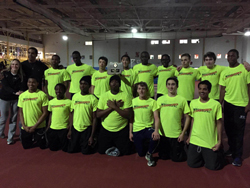 off last year after  1:44.06 4x200 and 4:02.44 flat track victories at the FIT Invitational. It's only December. 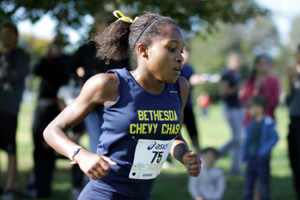 Notes: Was voted unanimously by 20 coaches as Montgomery County's top XC athlete from 2010 to 2014.
piece of her legendary high school cross country career, the 4A XC state title. 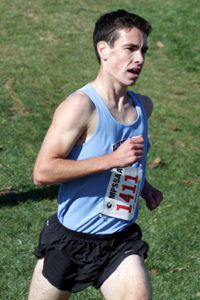 Whitman's Evan Woods won the 4A state title. 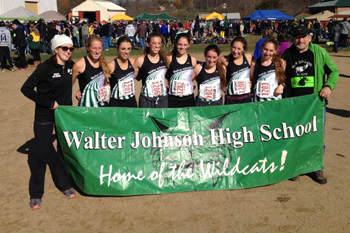 unreasonable to think that she will walk away from her senior year with another state title to her name. 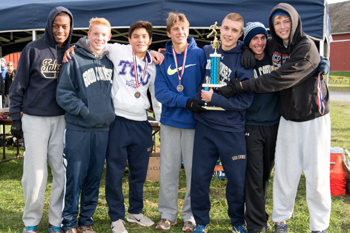 Is a return to NXN in the cards? 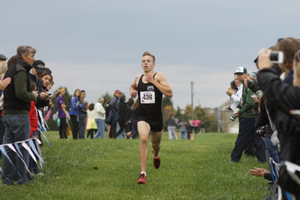 field to win the 4A West Region in 18:17.53.
one in sight in 15:26.11.
qualifiers: Whitman, Wootton, Churchill, Walter Johnson, Northwest, B-CC, Richard Montgomery. Northwood, Damascus. 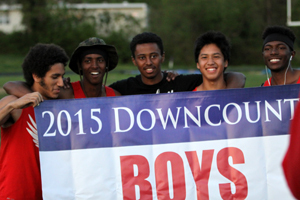 Boys state qualifiers from MoCo: Einstein, Rockville, Wheaton, Northwood. In 2A West action, the Poolesville boys and girls qualified for states. 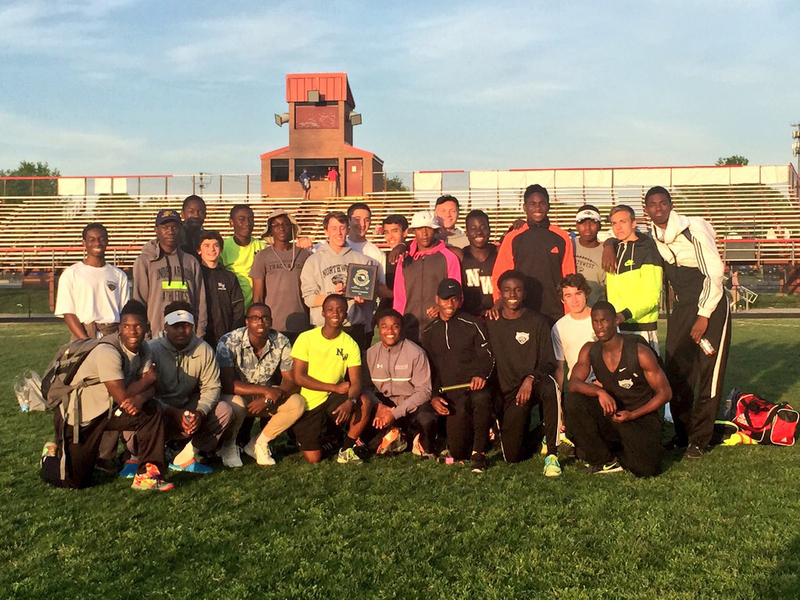 *Churchill boys win Division II on Tiebreaker. WC	109. QO	115. NW	124. In the event of a tie, the team that has defeated the other team(s) with which it is tied will be the champion. still a tie, then the tie will be broken by the lowest combined points scored in division meets. combined margin of victory among the teams that are tied will be used. see which teams and athletes are the consensus fan favorites. McUmber's achievements merit her top ranking. 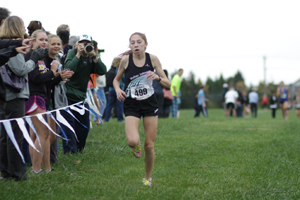 Her ridiculous 17:34.30 5k at the NXN Southeast meet speaks for itself. 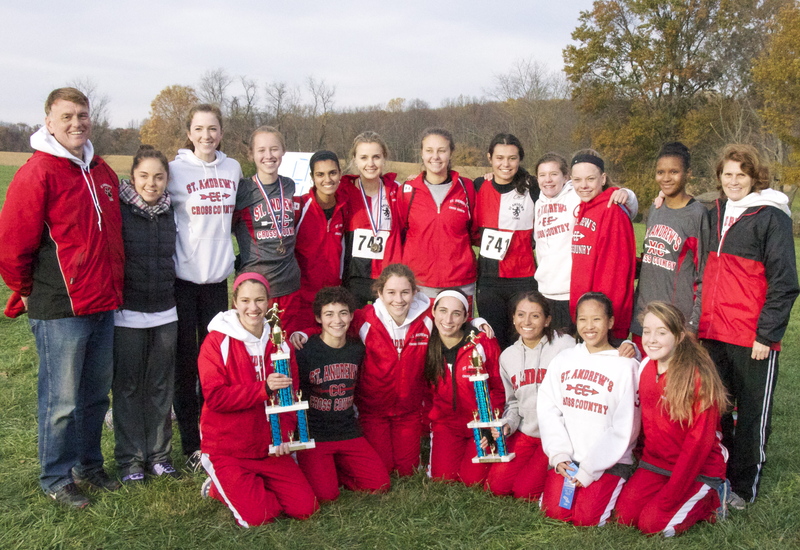 teams in Mocorunning's preseason poll. 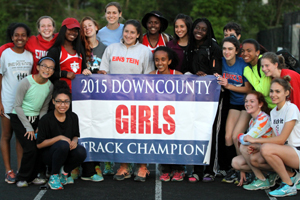 Follow the link to see which teams and athletes are the consensus fan favorites. 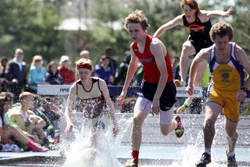 on the strength of a fantastic track season in which he captured the 4A 1600m state title in both the indoor and outdoor seasons.